Get Me Off This Plane, Now! Could meaningful [% 3630108 | | passenger rights legislation %] finally be at hand? It depends on the meaning of “meaningful.” But at the very least, a bill requiring airlines to return to the gate and allow passengers to deplane after a flight has been stuck on the tarmac for three hours is gaining momentum, both from advocacy groups and in Congress. Naturally, the airlines and their lobbyists are fighting tooth and nail to derail the legislation. But their protestations ring increasingly hollow. Addressing the pending legislation, a spokesperson for the industry’s trade group, the Air Transport Association, invoked the following bugaboo: “I think of the unaccompanied child who will be stranded in a strange city because a few people want to get off the plane.” And the puppies … what about the poor puppies? No matter what they claim, the airlines’ concerns have nothing to do with children flying the unfriendly skies. First and foremost, the airlines are fretting the profit effect of the legislation. 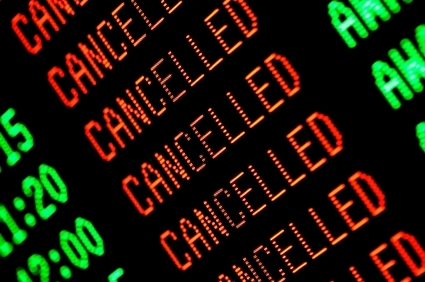 They would inevitably lose some revenue as affected passengers choose to rebook on other carriers. And there would be extra costs associated with reaccommodating delayed passengers, getting aircraft back into rotation, and so on. So at the end of the day, doing the right thing for their customers would indeed have a very slight negative effect on profitability. In most industries, that would be accepted as a cost of doing business. More generally, the airlines are panicked at the prospect of the government looking over their shoulders and holding them to standards that they consider onerous. What’s next, they worry? Laws forcing them to fully disclose ticket prices, including the rat’s nest of fees they’ve foisted on travelers? Full transparency in their loyalty marketing, including the odds of finding an award seat when redeeming frequent flyer miles? Minimum leg room requirements? Ten years ago, when passenger rights legislation was first considered, the airlines managed to convince Congress that they should be given a chance to address their shortcomings without additional government oversight. What we got was a slew of “Customer Care” statements posted to the airlines’ websites. As little as those documents promised, what the airlines delivered was even less. Even their supporters admit that the airlines have failed to meet the lowest expectations that the public rightly has of the commercial air transport system. The time has come to set standards and hold the airlines to them, starting with rules governing tarmac delays. The airlines are right to worry that this is only the beginning. While the current legislation is a step in the right direction, it’s just the first step toward meaningful passenger rights. That’s my opinion—what’s yours? Is this a good move? And what else should be included in a truly meaningful passenger bill of rights?